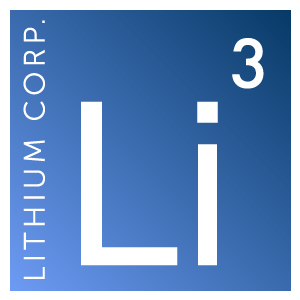 Elko, NV – July 19, 2018 – Lithium Corporation [OTCQB:LTUM] (“LTUM” or “the Company”), a North American explorer focused on energy metals for the growing energy storage sector and high tech industries, is pleased to announce that it has received the initial results from its Spring exploration program at the Yeehaw Rare Earth Element prospect in Southern British Columbia. Field work on the claim last year discovered the 30 meter wide Horseshoe Bend structure which is anomalous in REE’s and also averages 0.90% titanium. Prior to kicking off fieldwork here this year the company added a further claim, and currently holds 8,365 acres (3,385 hectares) of mineral tenures. Sampling/mapping this year has determined that a similar, as yet undefined feature exists approximately 660 feet (200 meters) to the northwest of the Horseshoe Bend. This structure appears to be more strongly mineralized, with REE concentrations generally higher than those at Horseshoe Bend, and titanium contents up to 1.37%. Additionally, a float boulder that exhibits similar mineralization was found approximately 0.9 miles (1.4 kms) to the northwest above the Horseshoe Bend showing. These discoveries are significant as they could possibly indicate that mineralization is more widespread than it initially appeared, and that we can reasonably expect variations in concentrations, so it is conceivable that even higher grade material may yet be found here. The Company will be remobilizing its crew to this prospect later this summer to further assess the area of the new discoveries, and to conduct initial sampling on those areas of the claim that were still snow covered during the earlier program.